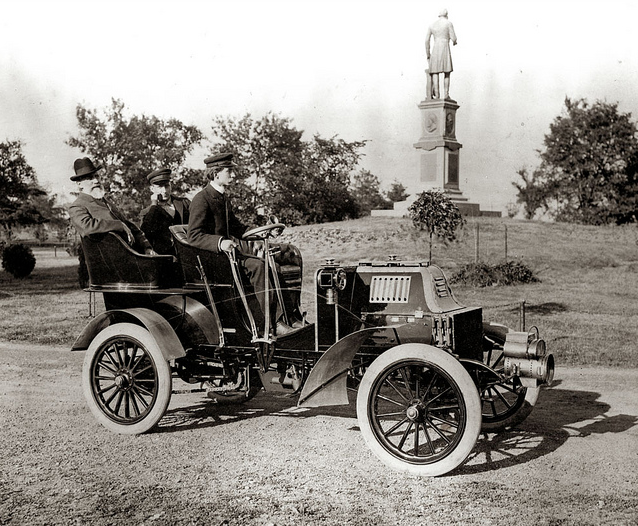 Owners of St. Louis Motor Carriage Company, George Dorris (front) and Jesse French Jr. and Sr. in a company racing and touring car built in 1902 or 1903 in front of the Frank P. Blair Statue at northeast corner of Forest Park on Lindell. Photograph, ca. 1903. Missouri History Museum Photographs and Prints Collections.